IZT Modulator is designed for advanced signal processing. The unit performs different kinds of encoding, modulation, demodulation in one signal chain and allows to manipulate the outgoing signal with variable delay, different data or error correction. 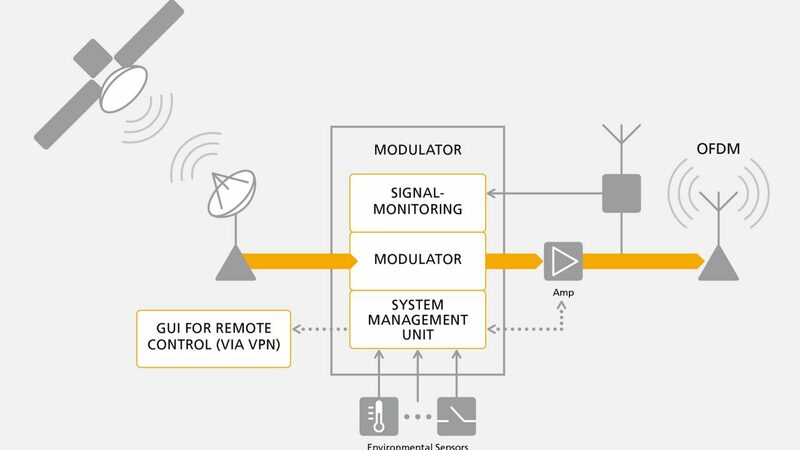 In addition the satellite band converter contains a management subunit, which monitors and controls other peripheral system. It can be remotely accessed and delivers all information to a systems operation center. The satellite band converter is trimmed for reliable long term 24/7 operations. IZT is the expert in the development and production of reliable long-run, high performance signal processing units meeting your needs. We are happy to offer you individual solutions for your operational needs.